Hailing from Dallas, Texas, Natalie set her eyes on the Big Apple just more than ten years ago. With the drive to succeed in NYC, Natalie utilized her intuitive styling creativity as a strength. Her Southern charm and talent are what caught the eye of John Dellaria here in Soho, NY. Natalie has a passion for making her clients feel beautiful and confident with every cut, color, and style she does. Upon mentoring under John Dellaria himself, Natalie soon became to nurture her craft, resulting in her high reputation as Soho’s go-to gal for her famous Brazilian blowouts. At Takamichi Hair, Natalie continues her passion for client satisfaction as she strives to make people feel fabulous with her cuts, colors, and especially her effortlessly glamorous Brazilian Blowouts. With three generations of Sarcinello hair styling men preceding him, Gene's craft is literally in his blood. Although he grew up on the East coast, it was in Los Angeles that Gene advanced his already lifelong skill set and discovered his own brand of style in color and cut techniques. After experiencing growth as a stylist in LA, Gene eventually found his way back to the East. Upon returning to NYC, Gene found a home at John Dellaria in Soho. Over the last 16 years, Gene has continued to perfect his craft and build a robust clientele of on-the-go New York professionals. Gene's focus is on natural-looking hair that looks great between cuts. We are happy that Gene has chosen Takamichi Hair for the next chapter of his continued evolution in the hair business. Gabrielle began her career in hair training at a Paul Mitchell school and went on to receive advanced studies at the Vidal Sassoon Academy in London, England. The UK is where Gabrielle’s academic approach to hair took flight. She developed a mastery of hair geometry and structure, attributes of her signature style that she employs at Takamichi Hair today. She has worked alongside and learned from world renowned stylists including Jay Small, Colin Caruso, DJ Muldoon, and Julien Farell. 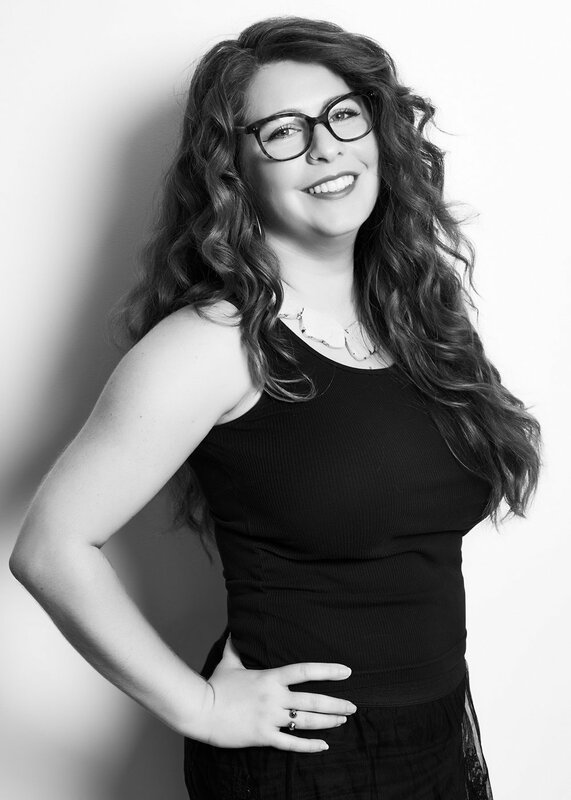 Gabrielle creates every haircut customized to the client's texture, head shape, and lifestyle, assuring a unique look that is both low maintenance and enhances the client's aesthetic. Her cuts are sure to consciously evolve in the following weeks, rather than simply growing out. Gabrielle's approach is informed by a deep appreciation of art and aesthetics and a commitment to continued education.